rating: 4/5 [in the genre] or 6 /10 [all books I’ve ever read]. recommended for: People who miss Harry Potter. Fans of Diana Wynne Jones. Kids or adults looking for a light, whimsical tale with surprising depth. will i read this author again? : Yes, both! A whimsical story that will defy your expectations about the hero quest and the all-powerful villain. Full of snark, humor, and magic, this is a book that kids will adore and adults will appreciate for its self-aware plotting and surprising themes. I haven't really read Middle Grade since Harry Potter, excepting a few Neil Gaimans and my yearly reading of Diana Wynne Jones. I just don't have time for everything, and YA speaks to me more. But you don't stick a book in my hands by Black and Clare and expect me not to read it. I'm so glad I did. 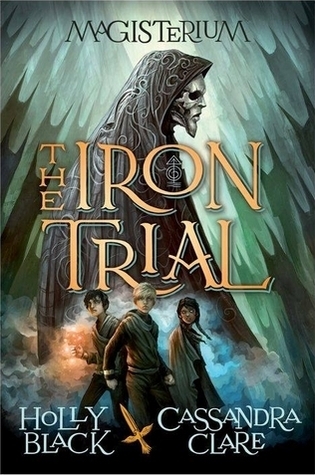 The Iron Trial is a thrilling story full of unexpected twists, whimsical magic, and characters that my childhood self wants to be best friends with. There were slow parts and thin parts that captured me less, and I did want to see a little bit more of Black's and Clare's zippy snarky prose. However, the plot is incredibly solid and fulfills their promise to violate every one of your expectations. (Although I guessed one of the twists, but I'm also a freak.) 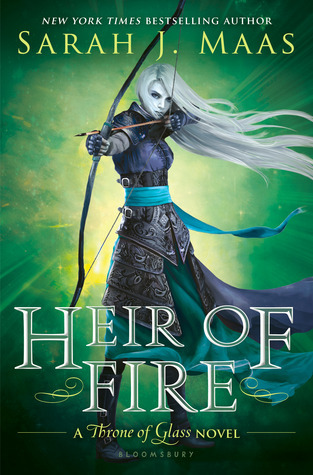 Kids will slip easily into the world of elementals and wizardry and adults will find a comfortable nostalgia--and deeper, more mature themes than MG usually dishes out. Diana would have been proud. The plot was probably the part I waver over most. I'll discuss the pacing more in depth later, but there were definitely slow parts and clunky parts that broke me out of my reading flow. However, the plot as a whole still packed a punch despite these hitches. You're thrust in right away with a teasing prologue followed by Callum being tested for magic school. Soon, he's learning magic, scuffling with classmates, discovering dangerous secrets, and insinuating himself into the middle of the central mystery: is the Enemy still alive and is he planning his attack? The latter half definitely carried the most weight. There's betrayal; one child discovers surprising powers; people disappear; all of it culminates in a magical showdown and a startling revelation. The ending sets up a devastating tension for the rest of the series that pretty well guarantees I'll be reading the next book. So you might have read a book or two about magic schools. That's nothing new. But Clare and Black take their own approach, basing their magic system in elemental forces and the unpredictable powers of chaos. It feels quite different from its predecessors without trying too hard. There are also lovely additions like elemental creatures, or the fear of being drawn into one's magic and burned into an elemental forever. The Enemy is a bit generic as a villain, but I get that some of it is for the younger audience. Nonetheless, they give him enough complexity that I, the alleged mature adult, wasn't rolling my eyes. His goal is to conquer death and just wait until you discover his plan to do so. Even though I'd guessed that revelation, I was still overcome with gleeful hilarity because it's so freaking cool. Though I can't tell you how, Clare and Black also toy with the idea of destiny, friendship, and how the past meets the future in unusual and refreshing ways. Can I just mention how much I love Callum? He's such a dynamic, hysterical character. Seriously, twelve-year-old me wants to be his best friend. He's snarky, tactless (in that he always manages to say something stupid at the wrong time), reckless, stubborn, and a little prickly. He's also the kind of person who will illegally rescue a dangerous wolf puppy because he feels bad for it. He's filled with insecurities about his physical disability and his potential, but he forges on anyway. He also toes the line between selfishness and selflessness in a huge way that has lasting ripples. I love him. His friends felt less dynamic, but they definitely developed over the course of the book. Tamara is a know-it-all badass with something to prove, but she's also loyal and not afraid to stand up for her friends. Aaron is the sweet golden boy with a sad past who just wants to love and be loved. His sense of duty eclipses any need for self-preservation. The three of them are an adorable team. There are also some pretty lovely side characters. Celia is a bit flat but adorably friendly. Jasper is the Malfoy in the bunch, but I loved that Clare and Black made him more nuanced and willing to reconcile. I didn't feel strongly about Master Rufus, but I hope he becomes a stronger presence in later books, given his big role. Over all, the characters kept me going even when the plot flagged. I'd read a dozen books about Callum. I was somewhat disappointed with the writing style. Before you go telling me that Middle Grade has to be simpler, I know that. But there's a difference between simple and flat, and I felt like there were too many flat parts. Surprising, given that I adore the style of each author individually. The writing worked best when it was filled with their whimsy and snark--strange details, witty banter, humorous observations mixed in with the narrative. But then there were pieces that seemed so generic, descriptions or dialogue that were just...mediocre. Or dialogue that felt unnatural. I'm hoping that, as they perfect their collaboration, there will be more of that snappy unique voice I loved and fewer dull bits along the way. Most of my complaints in this area deal with pacing and choice of details. On one hand, much of it was tightly woven, with building hints and danger at every corner. On the other hand, there were wilting parts in the middle that dragged on too long or didn't deliver a final payoff. For example, there's a pretty long scene where the kids stumble upon a frightening magical creature. Yet this creature never returns, and the prophecy he speaks never comes to fruition. It's the kind of long foreshadowing that might be lost on a younger reader; and for an older reader, aka me, it felt out of place. There's another character, Warren the elemental, who takes up too much space not to factor into the second half of the book. There were also some school happenings in the middle that had my attention wavering. It's a careful dance in a series starter to foreshadow later books while still keeping the first book tight, and I felt that some of the details were too obviously foreshadowing and didn't play enough of a role in the present.